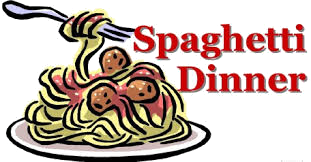 The Annual Mission Committee Spaghetti Dinner is this Saturday, February 13th from 5:00 pm to 7:00 pm in our church fellowship hall. The dinner is $7.50 for adults, $4.00 for ages 12-16, and $2.00 for ages 5-11. ALL YOU CAN EAT! Invite your friends and neighbors! All proceeds benefit congregational outreach and mission programs.